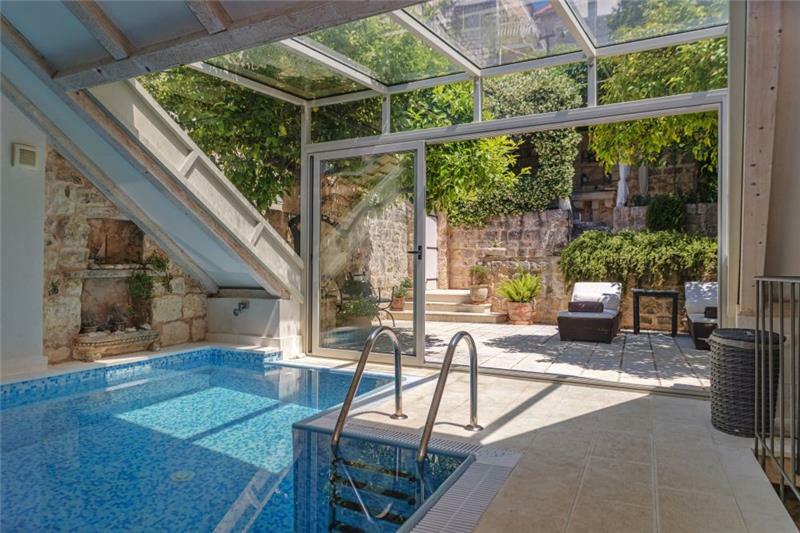 Located at the heart of vibrant, lively Hvar Town, this luxury Hvar island villa sits within twenty metres from the waterfront. Tucked behind the promenade, its courtyard garden offers a rare tranquil haven in the very centre of Hvar Town. The villa gives easy access to the harbour along with the restaurants and bars surrounding it. The property, much of which was built in the early 17th century, has been superbly restored and decorated in a simple yet opulent style resulting in an elegant and comfortable villa. Guests approach the villa from the Riva (main thoroughfare) up a quiet lane. A gate leads into the enclosed Mediterranean courtyard garden on the first floor, containing sun loungers, outside seating, shady areas and a dining area for up to 10 persons. The indoor/outdoor pool room with retractable doors is located within the courtyard grounds. Guest enter the villa from this level into a central hallway with doors to the large kitchen /diner, with patio doors opening out onto the courtyard. 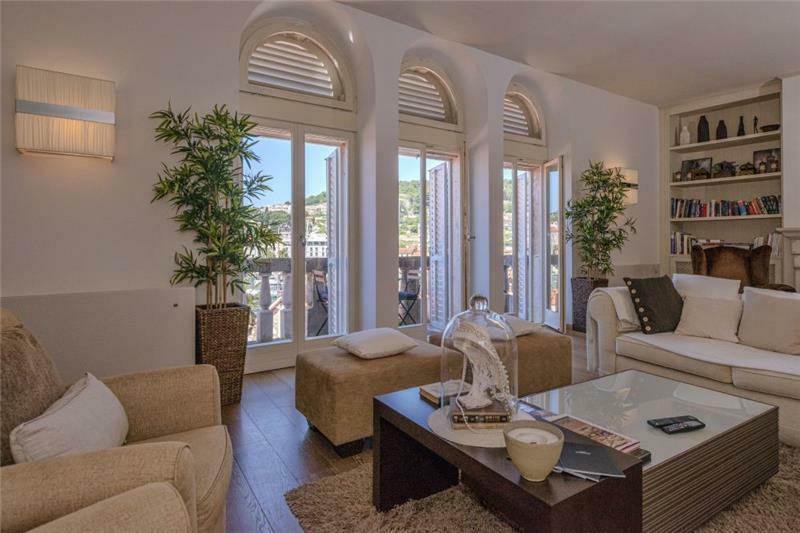 From the kitchen/diner, the hallway leads to a double bedroom with en suite shower room, a twin room with en-suite shower room, a separate WC, and a spacious, elegant living room featuring patio doors opening out onto a balcony overlooking Hvar harbour. In addition to the living room, kitchen-dining room and two bedrooms, guests also have all of the following for exclusive use: courtyard garden, library, spa (sauna, whirlpool) and indoor pool.